Treatment for a dislocated shoulder largely depends on the severity of the condition, but in many cases, surgery will not be necessary. After examining your shoulder and identifying the extent and location of the damage, your orthopedic specialist will make a formal diagnosis. If there aren’t any tears in the labrum or surrounding ligaments, you’ll likely be prescribed a conservative course of treatment, usually consisting of regular icing, temporary use of a sling, and physical therapy. If you suffer from frequent dislocations or your specialist discovers a Bankart lesion, a minimally invasive arthroscopic surgery may be necessary to repair and stabilize the shoulder. 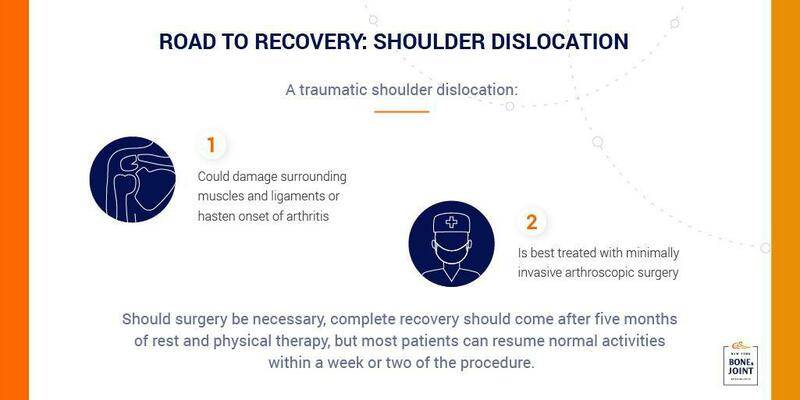 Shoulder dislocation surgery is a minimally invasive arthroscopic procedure, preventing damage to surrounding tissues and reducing the risk of complications. During the procedure, the surgeon makes a few pin-hole incisions around the shoulder, inserting a slender telescope through one of them to better view the shoulder and operating on it through another with several small instruments. 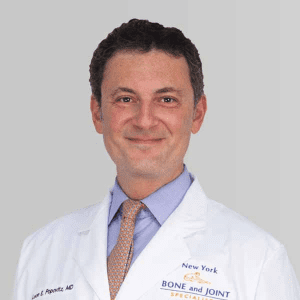 After repairing the cartilage and ligaments back on to the bone, the surgeon will insert a biodegradable anchor to hold them in place, ensuring proper healing. Most patients with dislocated shoulders will need to keep the treated arm in a sling for at least a month after surgery, but gentle physical therapy can begin a few days after the procedure. As soon as the sling is removed, therapy will be focused on rebuilding strength in the shoulder and restoring a full range of motion. Most patients can resume everyday tasks within a few weeks of the operation, but complete recovery generally comes after five months.